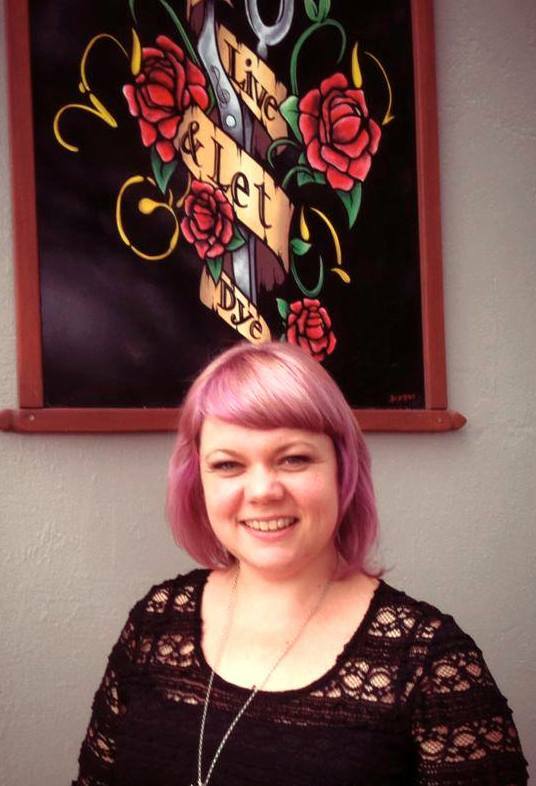 Here at Live & Let Dye in Auckland, we get to see a LOT of awesome hair colours. 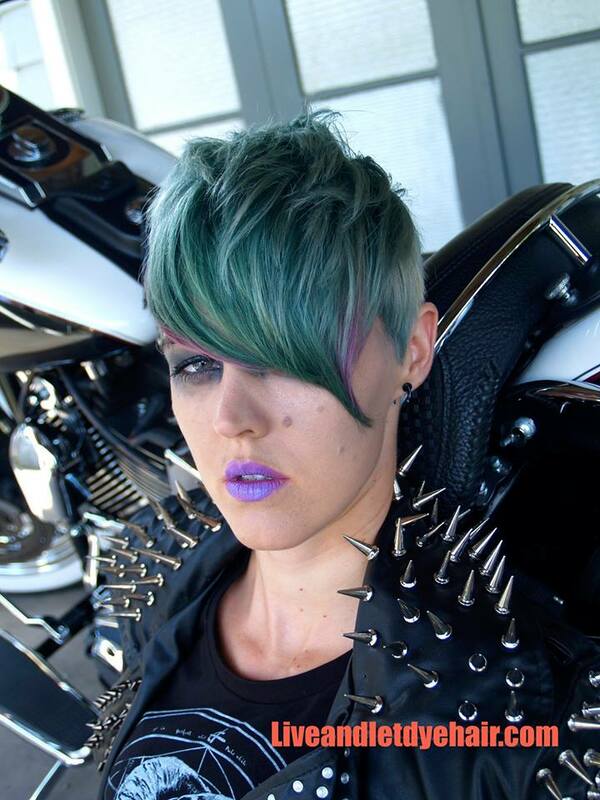 We are also one of the first salons to see what the next big ‘trend’ is in Auckland and New Zealand, probably because most of our clients are braver than most other salons. Ombre and balayage have reigned supreme in hair colouring for the last couple of years. 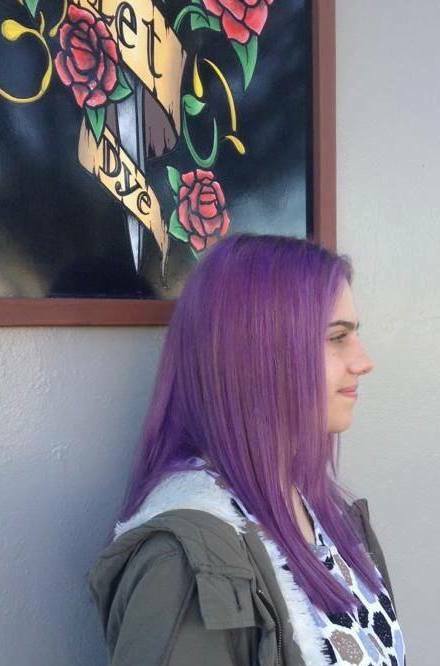 Its a great way to have awesome fun colours in your hair without having to worry about maintaining the roots every few weeks. However, we are seeing a huge number of clients who are going an all over blonde in order to go pastel or a mid tone colour all over (mid-tone colours are not pastel but not bright, so just in the middle). Lavender, pink, peach, blues….you name it. It ranges from a subtle pastel hue to a more vibrant ‘mid-tone’ colour. Lilac and lavender are the most popular with pink following closely behind. Purple is so popular…this is a ‘mid-tone’ colour. Although these colours are more high maintenance, they are very rewarding as they are a head-turner when walking down the street and a great way to perk up your dull winter. Here is what you need to know when thinking about going a full head of pastel or mid-tone colour. Firstly we need to take you blonde. Refer to our Going Blonde blog for more details. This can be a process that takes time and patience. You want to keep your hair in the best condition possible otherwise it won’t hold the colour later on and will wash out really fast. The way we do this is with full heads of highlights until you are blonde. This way it gives an even and beautiful result and you avoid those patchy yellowy phases you go through when you are doing a full head of bleach. Its also gentler on the hair. This stage takes a bit of patience but is well worth it if you want to keep the length of your hair. The next stage is choosing your perfect colour. From pale pastel to bright, once you are a pale blonde, anything is achievable. We simply apply the colour over the top of your highlights. A really nice way to keep this a little lower maintenance is to do a slightly deeper colour at the very roots (just a centimeter or two, not in an ombre type way) and then blend into the pastel. It allows you to go a few more weeks without having to do the highlights EVERY time you come in. After the first time of applying the colour over you highlights, it will most probably wash out faster. This is because your hair is freshly bleached and the colour doesn’t have anything to hold onto. From the second all-over colour, it usually lasts longer than the first time, with the right products. 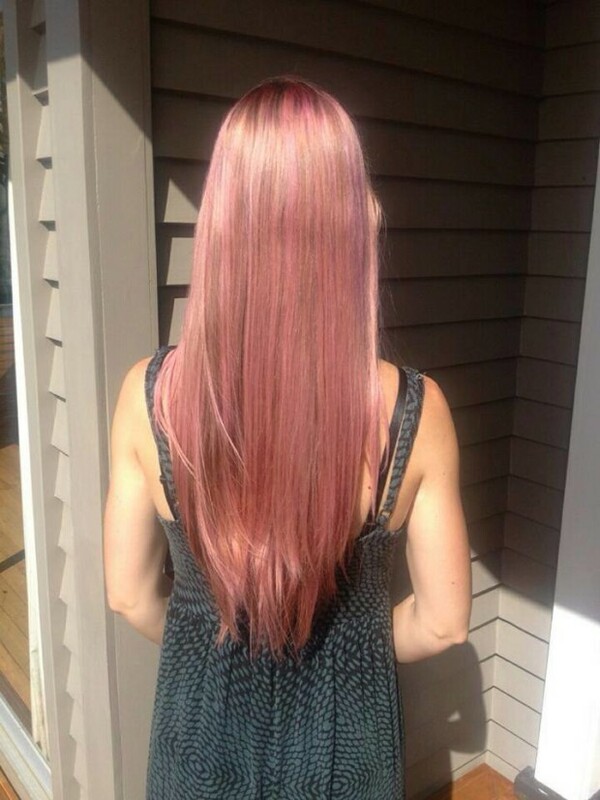 Pastel pink on long healthy hair! You WILL need to use salon products. There’s no avoiding it. If you are going to spend this much effort, time and money getting blonde, you would be silly not to spend $34 extra on a good shampoo and conditioner. I recommend Evo Ritual Salvation Shampoo & Conditioner. It keeps your hair in good condition, lasts for ages and is only $34 a bottle. You WILL also need Fabuloso Pro. 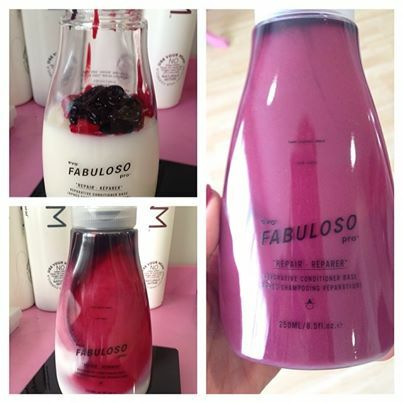 Once you’ve decided on your colour, we will mix up a custom mix of Fabuloso Pro for you to take home. This is deep conditioning treatment and has your personal colour in it so that it adds a little colour into your hair each time you use it to stop it fading as fast. Your hair will still fade as all hair colours do, but it will keep it looking fresher for longer and as it’s fading it will keep it a nice colour while it fades. It also is a repairing treatment that strengthens up your hair from the drying bleach. I use mine every time I wash my hair so don’t need conditioner but it’s up to you. LOVE THIS STUFF!! And its only $48 a bottle and also lasts quite a long time. Its also quite light so won’t weigh your hair down. This is a fairly high maintenance colour but there are ways of keeping it under control. With use of the right products mentioned above, it will keep your hair healthier, which in turn keeps your colour in longer. You don’t need to do your highlights every time you are in. We can do a centimetre or two of your roots a darker shade of the same colour so it ‘disguises’ the roots….this is what I do and it works really well. We recommend getting your colour done every 4-6 weeks. These colours fade but we have picked a colour range in Live & Let Dye that fade to a nice colour…this is very important to us. So no brassy colours, no weird tones. One of the best bits, apart from being an awesome colour, is that you are now blonde! I never believed the term ‘Blondes have more fun” because I never realized they meant, blondes have more fun with their hair! Once you are blonde, it opens your hair world up to pretty much any colour you want to be! Not quite ready for a full head of blonde and pastel? Why don’t you try out a pastel ombre or balayage to ease yourself into it? Its less maintenance, easier and faster to do and has that no commitment factor because its just down the ends so you can easily let it fade out and then grow out. MOST IMPORTANT! HAVE FUN WITH YOUR HAIR! Feel free to ask us for a free consultation if you are unsure. We can also advise you on colours that will suit you. Pastel and mid-tones look great on Pixi cuts too!